The Gelb triplets are among the newest Rochester Yellowjackets, joining the Class of 2022 directly across the street from Strong Memorial Hospital, where they spent the first three months of their lives. And, students from the Los Angeles area—where I call home—grew tenfold this year. It’s a data point that warms my heart. Whether you attended the University, have children who are students, whether you are a friend of or a patient at the Medical Center, each of us has a special relationship and connection with Rochester that is meaningful and personal. It’s our collective experience that has inspired us to pay it forward and be a part of the George Eastman Circle. 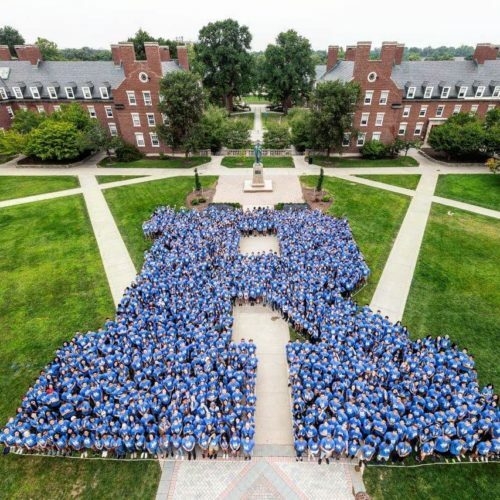 Together, we are setting the best example possible for the Class of 2022, and for all current students and generations to come. On behalf of the University, thank you for all you do. 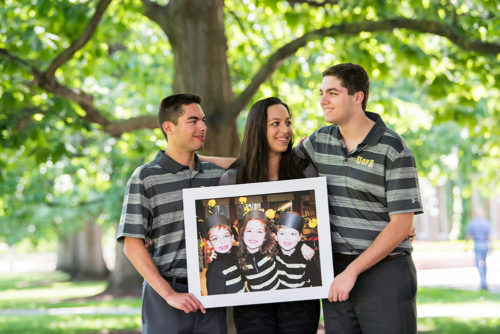 Robert ’22, Nicole ’22 and Matthew Gelb ’22 hold a photo of themselves as kindergartners dressed as yellowjackets. Now the triplets are among the newest Rochester Yellowjackets, joining the Class of 2022 directly across the street from Strong Memorial Hospital, where they spent the first three months of their lives. Their parents, Jay and Sandra Wolk Gelb ’89, are George Eastman Circle members. Soledad O’Brien, award-winning journalist, speaker, and author, will be the keynote speaker for the University of Rochester’s 18th Meliora Weekend, October 4-7. She will headline a weekend that includes Pulitzer Prize-winning author Ron Chernow; political commentator and former Republican National Committee Chair Michael Steele; innovative multi-genre musical group Pink Martini; comedian Nasim Pedrad; and a variety of activities for the entire Rochester community. A George Eastman Circle dinner reception will be held on Friday, October 5 from 5:30-7:30 p.m. at the Memorial Art Gallery. This members-only experience will showcase a special preview of Monet’s Waterloo Bridge: Vision and Process and lead up to the Pink Martini concert at Kodak Hall. The reception is $25 per person to attend. Tickets for the concert may be purchased at www.EastmanTheatre.org. For your convenience, transportation will be provided between the Memorial Art Gallery and Kodak Hall. A special Meliora Weekend George Eastman Circle lunch will be held on Saturday, October 6 from noon – 1:30 pm in the Feldman Ballroom. This free event is open to all members and their families. All members and their guests have access to the Circle’s Hospitality Suite on Saturday. The suite, located in Rush Rhees, will offer breakfast, light fare, and additional refreshments from 8:30 a.m. to 6:00 p.m. and it will feature entertainment and student performances. Family and friends are welcome to join you. 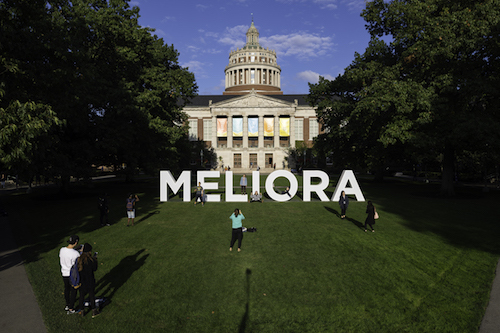 For more information, or to register today, visit www.rochester.edu/melioraweekend. 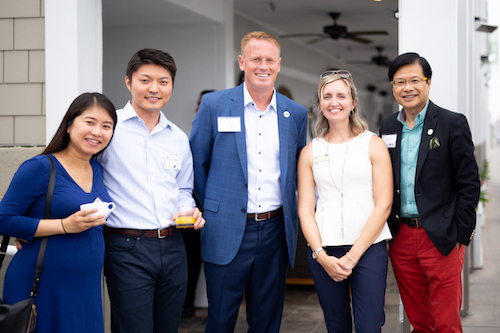 Dr. Caesar Luo ’01, ’06M (MD) co-chairs the San Francisco George Eastman Leadership Council, and truly brings an East Coast-West Coast experience to his volunteer role. His family moved to the Bay Area last year from Philadelphia, where he also served on the Eastman Circle Leadership Council. Dr. Luo spent nine years at Rochester, graduating from the College of Arts and Sciences in 2001. He followed up with a Take Five year at the Eastman School of Music, and then received his MD from the School of Medicine and Dentistry in 2006. 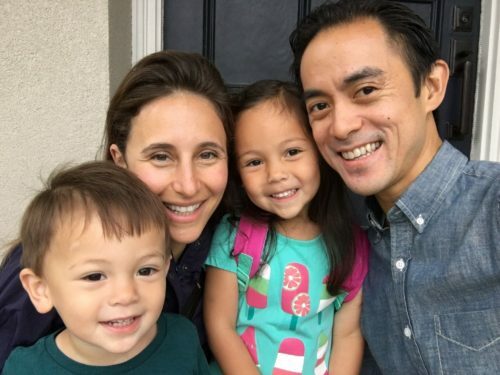 Dr. Luo lives in Oakland, California with his wife, Dr. Melissa Neuwelt, and their two children Avery and Asa. He is an ophthalmologist at Bay Area Retina Associates. If you are interested in learning more about volunteering for the George Eastman Circle, please contact us at georgeeastmancircle@rochester.edu. As the George Eastman Circle commemorates the philanthropic leadership of its members, our Honor Roll is available online for you to read through. This special listing of members offers a way for the University to recognize your commitment to making the world a better place. To access the “Giving By Level” portion of the Honor Roll, please enter password M3mber.